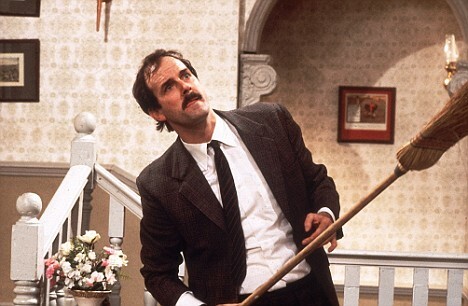 Yeah, “The Germans” is my favorite episode of “Fawlty Towers“. Which reminds me – My awesome new friend and I checked out the 1st ever Christmas Village at City Hall on Tuesday. Now I’m REALLY angry that my new computer isn’t here yet – because I took some rockin’ photos of some hilarious stuff I found. I’ll tell ya about it, any way.